Herbs such as rosemary, parsley, basil, sage, thyme and oregano are some of the most generous, diverse and useful plants you can grow. These plants come in a variety of colours, textures shapes, and sizes. The aromatic leaves and scented flowers can delight all the senses. Rosemary has been used for thousands of years for it's numerous health benefits. In the sixteenth century, Paracelsus, a Swiss German Renaissance physician, botanist, alchemist and occultist promoted the doctrine of signatures, based on the theory that "like cures like," and that nature marks each growth according to the ability to cure. According to an article in the Science Museum, Brought to Life, exploring the history of medicine. "The English botanist William Cole believed that "the mercy of God..maketh...herbs for the use of men and hath... given them particular Signatures, whereby a man may read..the use of them." Herbal remedies continue to grow in popularity, and "like cure like," is at the heart of modern homeopathy. Like most herbs, the aromatic rosemary can provide the yummy factor to transform an ordinary dish, into a culinary delight. Herbs are the ideal replacement for salt in our foods as more of us are advised to use less sodium. However, there is so much more to the underrated herb. Scientific studies have shown that not only do Rosemary contain antioxidant and antimicrobial properties but when sniffed, rosemary can improve the memory. Growing certain plants and distilling them to extract their essential oils is a process that was first practiced by the Ancient Egyptians. Once removed, the Egyptians used the oil for medicinal purposes such as religious ceremonies and beautifying the skin and face. The aromatic rosemary oil was also used in natural perfumery and for embalming the dead. 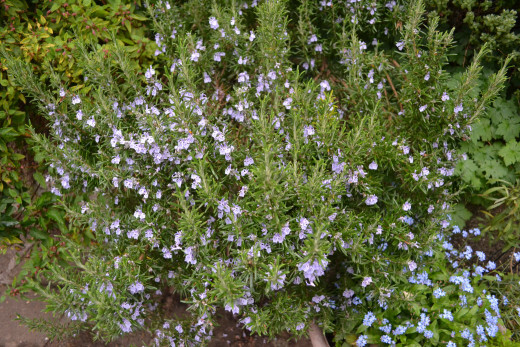 Also known as the "incense bush," Rosemary was one of the most popular and widely used herbs in ancient times. The Greeks burnt it in their shrines, the Romans sniffed it and wore it on their heads to strengthen their memory. The health benefits attributed to Rosemary are numerous. Throughout the ages, rosemary essential oil has been used to improve memory and refresh the senses. Research has now verified that the ancient Greeks, Romans and Egyptians and even Shakespeare were in fact right on the money. The aroma of rosemary improves memory when inhaled. Herbs are some of the most useful plants you can grow, especially in an organic garden. They attract insects, butterfly, bees and birds to the garden, thereby, increasing pollination and yield. Organically grown herbs can help to create beautiful gardens that attracts a wealth of wildlife while enhancing the overall health of the garden. At one time, herbs were primarily used by witches, warlocks and vegetarians, today we all use herbs. 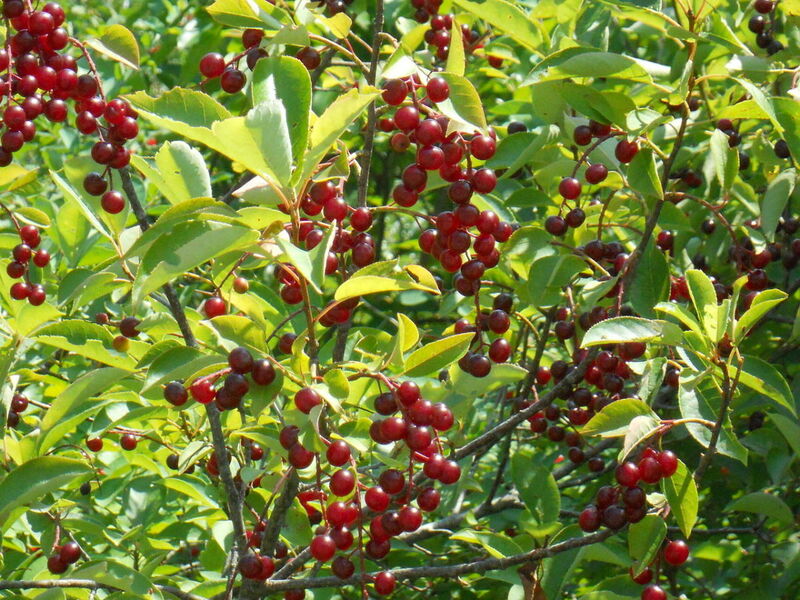 But to gain the full benefits of these excellent plants, we need to go just one step further. Start growing your own organic herbs. Although rosemary can be a trifle difficult to grow from seed, because seeds are hard to germinate and slow to grow, the plant can be propagated by cuttings or by layering. Once you get started, believe me, you will wonder why it took you so long to discover the joy of growing and using your own herbs. Rosemary shrub is fragrantly aromatic and grows up to 1.5 meters. The Latin name is Rosmarinus officinalis L. which means "dew of the sea," of the family Lamiaceae. Rosemary plants are native to the Mediterranean region, introduced into Britain by the Romans and remain a favourite in British and Italian cooking. In ancient Greece and Rome, rosemary was used to strengthen and improve memory and was known as the herb of remembrance and fidelity. A sprig of rosemary was sometimes placed in a bride's bouquet, or worn at funerals. Before taking an examination, students would twine rosemary in their hair, or massage the oil into their temples or foreheads to improve their memory and to attain the desired test results. Scientific research by Mark Moss et al, at Northumbria University, Newcastle, have identified a compound in rosemary that can potentially be responsible for cognitive and mood performance. A study by Mark Moss et al. found that people who sniffed a diffusion of rosemary essential oil, increased the ability to recall events from the past and remember to perform future tasks, by up to a massive 60% - 75%, compared to those who did not inhale the aroma of rosemary oil. The study tested 66 adults who were randomly selected to enter one of two rooms. In one room, four drops of rosemary essential oil were placed on an aroma steam fan diffuser switched on five minutes before the participants entered the room. The other room was unscented. Both sets of participants took a test on their prospective memory function. The prospective memory involves the ability to remember events that will happen in the future, and not forgetting to complete tasks at a particular time for everyday functioning such as taking medication at a given time of day. In each room, participants completed tasks designed to assess their prospective memory function. On completion of the test, participants were given questionnaires to assess moods, venous blood samples were tested for concentrations of the compound 1,8-cineole, found in rosemary essential oil and shown to act on the biochemical system relating to memory. The conclusion of the study was that the participants in the rosemary-scented room performed better on the prospective tasks than those in the unscented room. This research reinforced the results of previous work done by Moss and his team of psychologists at Northumbria University, Newcastle, which indicated, that rosemary aroma improved long term memory and mental arithmetic. 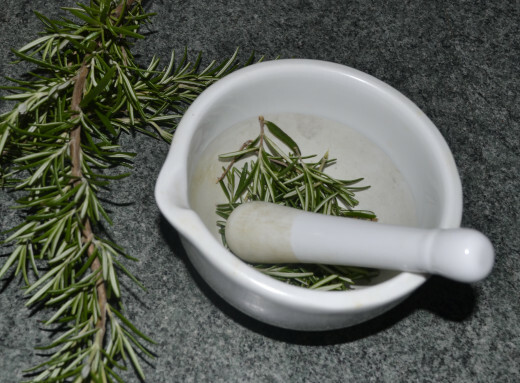 Rosemary can stimulate the circulation to improve blood supply to the brain. The leaves of the herb are used in Europe for dyspepsia and were approved by the German Commission E, a scientific advisory board for the German equivalent of the FDA, who examined the herb for effectiveness and safety. 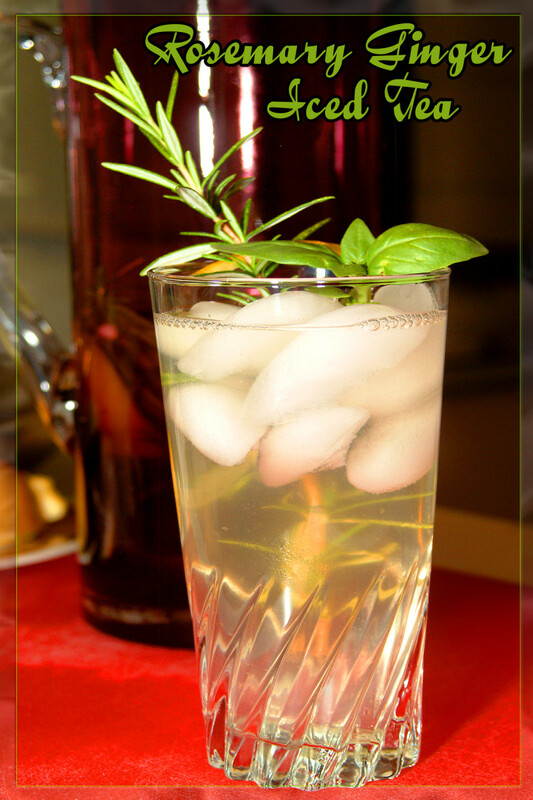 Rosemary has been shown to reduce capillary permeability and fragility thereby improving the function of blood vessels. Studies show that rosemary oil contains cancer-fighting properties, antioxidant, and antimicrobial properties, and may be useful in the treatment of muscle pain and arthritis. Although the scientific evidence to support this claim has been few, recent studies are confirming the many health benefits of rosemary essential oil. Insect repellents, soaps and cosmetics all contain extracts of rosemary. There are those who believe that rosemary can even protect against the forces of evil. Now that is potent. Rosemary and memory improvement go back a long way, but the most famous reference to the herb is in Shakespeare's Hamlet. Ophelia: "There's rosemary, that's for remembrance: pray, love, remember." For best conditioning, to prevent dandruff and as a possible cure for baldness. Crush or chop a bunch of fresh rosemary leaves, add 300 ml boiling water and allow to stand for one hour before straining. Use this effusion for the final rinse after washing and towel-drying the hair. Rub rosemary oil gently into the skin to help calm the nerves and improve the circulation. 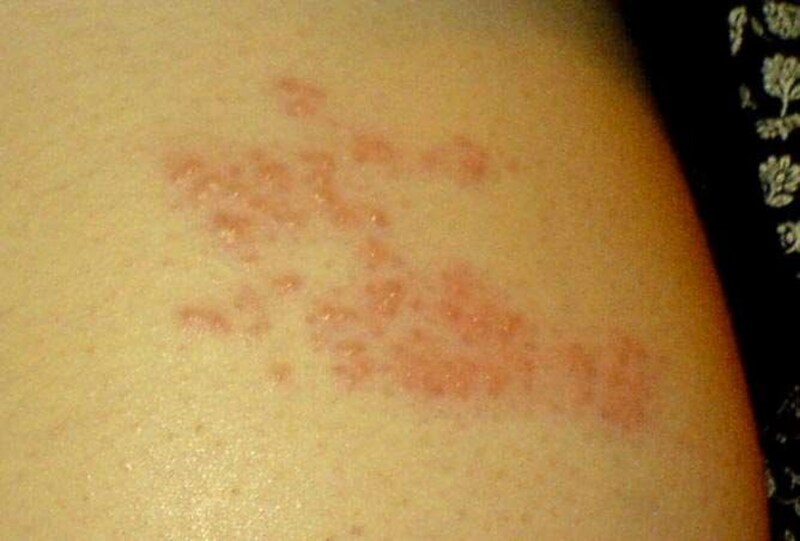 Add a few drops in the bathwater to relieve rheumatism. Fill an interestingly shaped 1/2 litre bottle with the almond oil, vinegar and juniper berries. Leave on a sunny window ledge for about a month or so, in cold weather, the bottle can be placed near a warm radiator or airing cupboard. 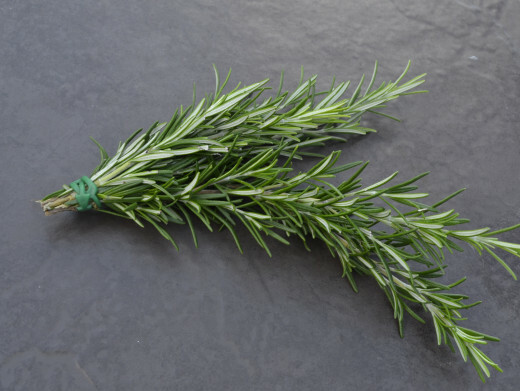 When you grow your own rosemary, you'll always have access to this fabulous fresh herb with its many uses. Add rosemary infused oils to Christmas hampers for selling or give as gifts to friends and families. Drink rosemary tea as an aid to digestion, taken at bedtime, rosemary tea can also make a soothing drink to calm the nerve and induce a good night's sleep. For tea, use 1 tbsp (15 ml) of fresh crushed rosemary leaves per cup of boiling water. Shown to improve prospective memory in healthy adults. M. Moss et al., 2013. Rosemary oil can be applied topically (to the skin). Study shows, when 84 people with alopecia areata, massaged rosemary and other essential oils (including lavender, thyme and cedarwood) into the scalp every day for seven months, there were significant hair growth, compared to those who did not use the oil. This study was not well designed and the exact contribution attributed to the use of rosemary remains unclear. Rosemary contains four anti-inflammatory substances, one of which have been marketed as an antioxidant in China. Rosemary can affect the ability of the blood to clot and can interfere with blood thinning drugs, like aspirin, clopidogrel and warfarin. The oil in rosemary leaf can help to relax the muscles in the digestive tract, stimulates apitite and improve gastric tone for easier digestion. Rosemary extract, carnosic acid and rosmarinic acid shown to have an inhibitory effect on various human cancer cell lines. Research by Hosseinzadeh H, Nourbakhsh M. Shows rosemary aids morphine withdrawal syndrome in mice, Journal of medicinal plants. 2006. Clinical trial, Arak university of medical science concluded that rosemary can be used as an optional extra drug for treatment of withdrawal syndrome during treatment program for opium addiction and possible addiction to other opoids. All essential oils comes from plants, the liquid is stored in tiny sacs on the plant which may be found in the petals, roots, rind, stalk, seeds, sap, nuts, leaves or the bark. Rosemary and other essential oil should be handled with care. Most essential oils are safe to use provided they are used in minute quantities. Never increase the dose of essential oils. Essential oils are potent and should only be measured in drops. It is advised that essential oils should not be taken internally or use directly on the skin and should be diluted in a carrier solution such as almond oil. Rosemary should not be used by pregnant or nursing mothers. Rosemary extract and oil may interact with other medication, it is wise to consult you doctor before use. Poetryman, we can eat it, sniff it and even improve our crown and glory with it. Rosemary is an excellent herb to have in the garden. Thank you for the visit and comment, it's always good to see you. Hi Peggy, those senior moments do tend to sneak up on us don't day? ;) Remember to add a few drops of essential oil in the bath, it can be relaxing and the fumes will help with those senior moments. Don't forget to take your omega 3 fish oil, I'd be lost with them. Take care now, always a pleasure to see you. Hi Rochelle, thank you so much for stopping by, much appreciated. Yes, we are only now beginning to discover what the ancient folks already knew. Maybe it's time to rediscover the humble rosemary. Very interesting info on rosemary. It grows wild around here where I live, and I have a couple varieties in my back yard. I like the fragrance, but don't really care for the taste in recipes. The native people here say that their ancestors used it a lot. One use was by the hunters. When they went out to hunt deer, they first spent a a time of purification in a sweat lodge. When they came out the rubbed their bodies with rosemary so the game would not detect their human smell. 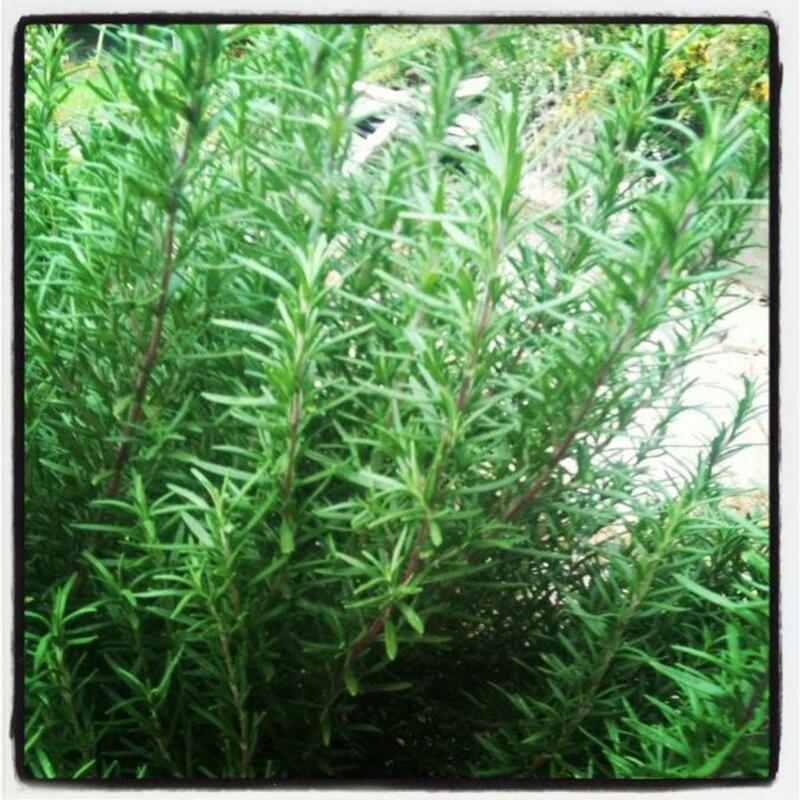 We do grow our own rosemary along with other herbs and use them in cooking. Now that I am occasionally suffering some "senior moments" I probably need to use more rosemary. :) Sharing and also pinning. Looks like we may need to get more rosemary into our diets. Hello Bluebird, how nice to see you! Yes, natural is the way to go, we need to prevent rather than cure. It's good to see that so many people are choosing the most natural alternatives. I hope you're having a lovely day. My best always. Very useful information, always better to go natural in our quest for health. Thanks for this great hub! The Stages of Me, it's a pleasure to see you, thank you for stopping by. 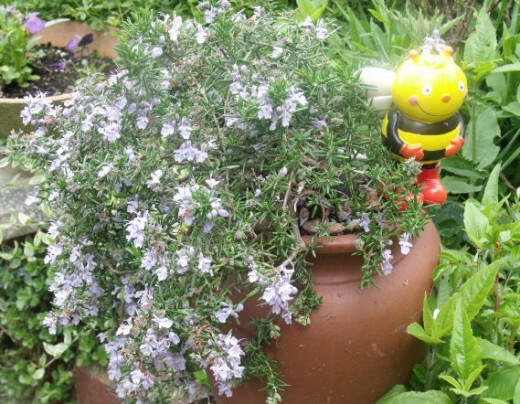 I'm glad you found the hub useful; Rosemary is an excellent herb to have in the garden, it's easy to grow and needs no real maintenance. Thank you so much for the share, my best to you. Rosemary is a very versatile herb; I use the oil in the bath, use a sprig to make herbal tea and it's great with meat dishes. I'm at that certain age; my memory is not what it once was so sniffing a few drops of the essential oil on a cotton ball seems to help. Thank you so much for stopping by, and for the vote and share. My best to you, have a lovely Tuesday. Hi Shyron, yes indeed, rosemary is the gift that just keep giving, it's an excellent herb to have in the garden and it's so very easy to grow. Thank you for stopping by, it's always a pleasure to see you. My best always. Jo, as I said above I love Rosemary, and I planted the Christmas gift in my garden and could not believe how it grew and my sister-in-law took a sprig and planted it in her garden. The information in this hub is the best I have read. How fascinating! I never knew about all those properties of rosemary. I used to only use it to cook lamb. I live in Brazil and here they use various herbs and plants for many things. I recently had a visitor who had her hair in dreadlocks and she told me she uses water and rosemary to clean it. Plus it is quite common to see dried Rosemary sold as a tea here. do with a bit of help. 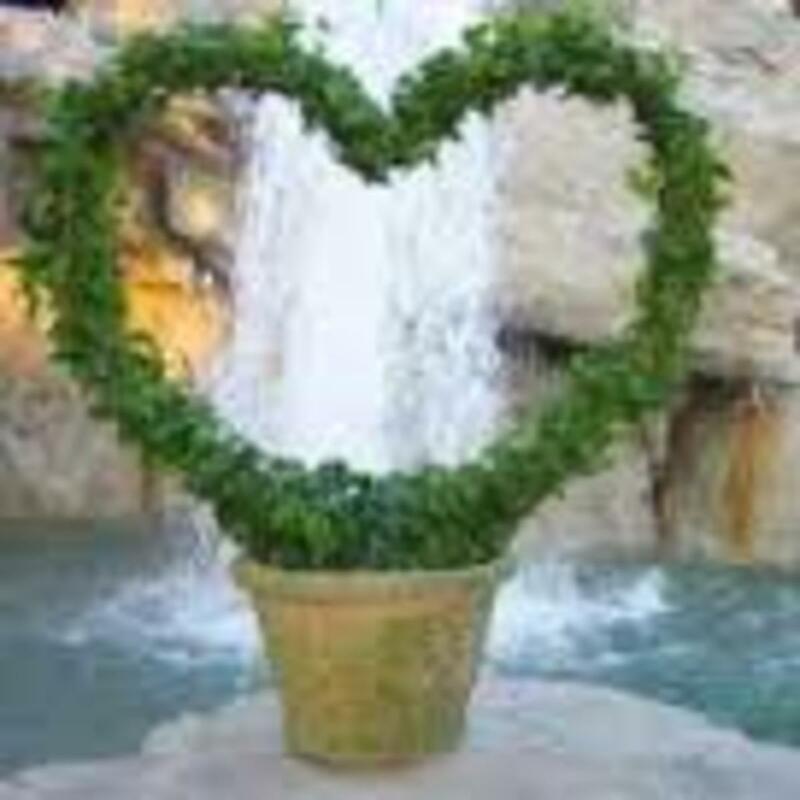 Joyfulcrown, time to start enjoying the benefits of this wonderful herb. Thanks for stopping by, much appreciated. Thank you for this very informative article. I have rosemary in my garden but I never knew all of the benefits. Peachpurple, you are absolutely correct, ginkgo helps to improve blood circulation to enhance memory among other things, but it can interact with some medications so caution is advised. For more information on ginkgo, you can take a look at my article, Tips for improving memory and concentration with natural nootropics. Herbs can be useful for many different conditions. Thank you for stopping by, it's always lovely to see you. My best to you. Hi truthfornow, nice to see you. Yes, rosemary is a worthwhile herb to have and relatively easy to grow. You won't regret growing your own. Thank you for stopping by, much appreciated. Take care and have a lovely day. I had no idea Rosemary helped with memory. Seems like it has a lot of health benefits and maybe I need to get me some. Thanks for all the information. Rosemary is a very versatile and useful herb that we should all be growing. Those angels are always welcomed. Thank you for the visit and wonderful comment, enjoy your weekend, my best to you. Rosemary is a favorite of mine...great article. Some studies have shown that inhaling the aromatic splendor given off by herbs such as rosemary is also good for the memory. It can't hurt, right??? Hi Rebecca, yes, rosemary is a wonderful plant to have in the garden or indeed indoors. You can drink it, have a bath in it, cook with it, wash you hair.....and just in case you forget how generous this herb can be, all you have to do is sniff a sprig and you memory is refreshed. :) Rosemary is a very useful herb to have. Thank you for taking the time. Hope you're having a glorious weekend, take care and my best to you. Wonderful article on rosemary. It is my favorite herb. I love the way it smells, and try to keep one growing always. Your research and chart are quite impressive. Thanks! Thank you my friend, it's always a pleasure when you stop by, read, comment and share much appreciated. I hope all is well with you and yours, take care and my very best always. Once at Home Depot, I smelled the most beautiful scent and followed my nose to a plant in a pot cut in the shape of a Christmas tree, I kept rubbing it and got the scent all over my hands. I found out it was Rosemary. The next day we drew names for Christmas presents and on the strip each person wrote what they would like for a present, and I wrote Rosemary Christmas tree from Home Depot. An elderly man got my name and when we exchanged gifts, he was all blotchety it seems he is alergic to Rosemary. I really felt bad for him. I planted my Rosemary tree and she went wild. Rosemary smell I love and I use it as spice, but I did not know of the benefits. Thank you for that. Voted up, across the board except funny and shared. Jackie, don't forget to have a little sniff now and again. :) You are right of course, rosemary isn't difficult to grow from cuttings, but most people will be able to find small plants at the nurseries if they're not having much luck. Better still, this could be an opportunity for an enterprising green fingered person to make some money growing and selling the herb. I hope all is well with you, take care and my best always. This is great Jo and I know so true. I love rosemary and have several plants and it really is easy to grow once you have the plant. I have broken off stems and rooted them in just water or stuck them in some good earth and got them going! I even have a novel called Rosemary and Time! I used rosemary throughout it while telling a story about family and romance. hijama, glad you found the info useful....nature usually have the answers, we just need to know where to look. Thank you so much for taking the time. My best to you. Drvikramchauhan, a gentleman who knows his Shakespeare. Thank you for stopping by, much appreciated and my best to you. prasetio30, nice to see you. Yes, herbs are interesting plants. It's good that the scientists are testing them against ancient beliefs. Thank you for taking the time to read and for the vote and comment. My best to you. Alicia, the history of herbs is fascinating, the ancient people certainly knew their herbs, I guess it was a case of trial and error. We are now learning what they already knew thousands of years ago. Thank you for reading and commenting, much appreciated. Very informative hub. I have never thought that rosemary has health benefit to improve our memory. Thanks for writing and sharing with us. Good job and voted up! This is a very informative and interesting hub, Jo. I loved reading about rosemary's uses. I think it's very interesting that the ability of rosemary to improve memory was known by ancient people so long ago and has been confirmed by scientists today! m.almanac.com/plant/rosemary. It's The Old Farmer's Almanac on line. You can try growing the plant by germinating seeds, but the easiest way is by cuttings or layering from an established plant, if you know someone who already have a mature plant, they may be happy to peg a branch into the soil for you. When it begins to root, you'll have yourself you very own plant. Let me know how you get on, and thanks for reading and commenting, it's always good to see you. Jo, I had no idea rosemary was that beneficial. Can you grow it in the midwest? How do you buy it? I've never seen it in any store. I sure want to start growing it..Thank you..
Hi bluebird, I'm so glad you've found the hub useful, thank you for taking the time, much appreciated. Enjoy the rosemary, my best to you. Excellent! Enjoyed this and plan to make it useful for the good results! Hi Kim, we do seem to take this humble plant for granted, but rosemary is a pretty versatile herb. Thank you so much for taking a look, as always great to see you, take care and my best always. Bill, once established, rosemary doesn't like to be moved, but yes, apart from that, it's a hardy plant in the right position. And yes, it's great for beginners. Lovely to see you my friend, hope you're having a wonderful day, my best as always. And rosemary is a plant that is almost impossible to kill, the perfect plant for a beginner gardener. And I am so happy to hear of its benefits. We have a huge rosemary plant in our garden and we use it constantly for cooking. Thank you for the great information my friend. Enjoy your rosemary, but be careful of the pure essential oil, it's very potent stuff. Always a pleasure to see you, my best always. nanospeck, lovely to see you, thanks for taking the time to read and comment, much appreciated. MsDora, good point about the scent of rosemary grown in the Caribbean, I'm sure I read somewhere that the aroma is stronger in coastal regions, it is much more at home in climates that are closer to the Mediterranean's than the colder countries. Sunday would not be Sunday in our house without roast lamb with garlic and rosemary, not forgetting the yorkshire puddings. :) Rosemary and lemon works well with baked pork, also veal. Rosemary is a very versatile herb. Thank you for reading and for the great comment. My best always. Jo, what an interesting and informative article on rosemary. I knew its health benefits when used in cooking and eating, but I didn't know its benefit to aiding memory. I am at that age where I can benefit from sniffing rosemary. LOL! I never knew about its aid to memory and the research you include here about that is fascinating to me. I always have rosemary in my kitchen, but now I can put the oil everywhere in the house. I love the scent of rosemary and always have. Thanks so much for sharing your knowledge with us, and I am glad you wrote this hub. Excellent article as usual from you Jo. Now, I am off to sniff some rosemary! LOL! Jo, until this year, my only interest in the rosemary was to cook with my lamb which is my favorite holiday meat. Now back in the Caribbean, I found that the rosemary here has a so much stronger scent and I fell in love with the aroma. I am now nurturing a rosemary plant but my favorite way to use it is to crush the leaves and inhale the scent. Thanks for all this information; I've just become a rosemary lover. Voted Up! Frank, you most probably do have it in the garden, time to start using it. :) always great to see you.. My very best. Thank you devika and congratulations on your book, Suzette did a wonderful review. I'll heading off to amazon later on. Well done once again. Eddy, thank you for this very quick response. I'm glad you found the hub useful. But I'm pretty sure you're already growing your own. :) Always a pleasure. Interesting about this wonder herb. You have chosen one of my favorite herbs and also had the chance to learn more about the oil. Voted up! A great hub; interesting and so very useful. Thanks for sharing and voted up.